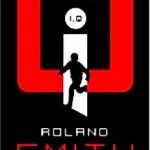 Home » Blog » IQ Book Two: The White House » I,Q Two Final #40. Flying to Texas. Writing Backwards. Yesterday after packing, or I should say re-packing, I spent the rest of the day transcribing what I had scratched into the Moleskine the previous week into my laptop. To my horror I discovered several pages that did not need to go into I,Q2. There was nothing wrong with the words except they weren’t necessary. They didn’t move the story forward. I’m not sure what I was thinking when I put them down, but I’m pretty sure the mornings I wrote those words I must have had a bout of “my readers won’t understand!” Lack of faith in your readers can ruin a story, causing the writer to overwrite and over explain. Anything that doesn’t move the story forward, doesn’t just stop the story, it moves the story backwards. It’s been years since I’ve done this. I must have been tired. The bottom line is that I wasted a couple short days of writing that I couldn’t afford to wasite. But you just have to throw those words away and move on. On the bright side… There’s a point in every novel where it comes together. This is usually happens towards the end of the first draft. You can’t force it. You just show up everyday and write and hope that it knocks on your door. I’ve been waiting about a month for this and on the flight to Houston it came to me. It’s like getting a glimpse of a detailed map with every turn carefully drawn out, then the map disappears, but it’s so vivid you can redraw it from memory. But what happens in the end of a story affects almost everything that happens before it. I got to my hotel room and started rewriting the “before” in anticipation of the end. It will be a late night, but I don’t mind because it’s getting very close now. I’m not done, but hang with me. The end is near. I promised my editor that I would send her the pages that I have tonight so she can start getting a sense of the story and start doing some edits. It’s a bit premature, but because we want to have this book out in the next couple of months she needs to get a head start. Stay tuned! We really enjoyed meeting with you yesterday because you are very creative and hilarious! We especially liked the Little Billy stories. Thank you for taking the time to come and share your writing and your ideas with us! Have a wonderful trip back to the Pacific Northwest! I enjoy meeting you yesterday. I really loved the way you tought me how to write.Thanks for the first I.Q. book I read a little bit of it . It is good so far. Have a nice time in the pacific northwest coast. We greatly appreciate your visit yesterday. This is Harry from Fairfield Middle School. I really enjoyed the trip to Rolfe Middle to come and get my book autographed by you. It was a really good experiance for me and the school. Thank you for taking time off of your schedule to come and talk about your adventures and book signing. I enjoy you coming to us and talking to us about your life. My favorite book that you wrote was Jaguar. The trip was fun. If you go to another rain forest take me with you. Have a nice trip back to Portland Oregon. I greatly appreciate your visit yesterday.It was so exciting to meet a real author.And you were even better than I could have expected. You were funny and very enjoyable. I really like your books and someday maybe I can write as great as you. ← I,Q Final Two #39. Skype w/Geneseo Middle School in Geneseo. Port Edwards,WI.